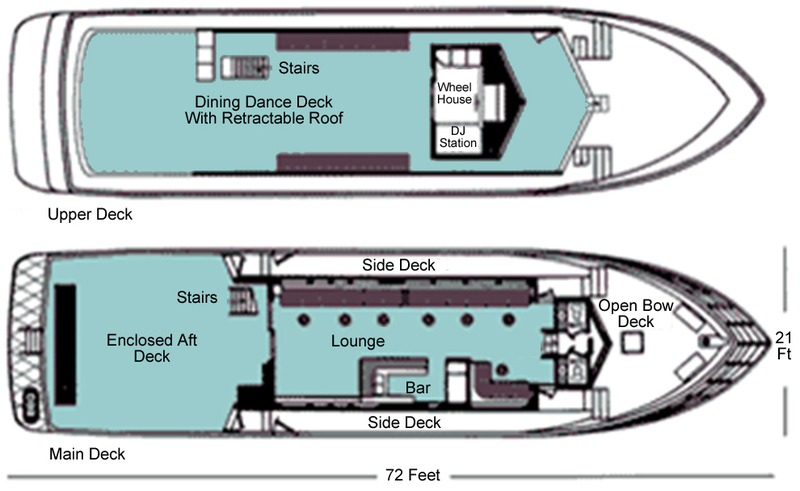 The motor vessel MISS TORONTO is a Canadian built cruise ship constructed from aluminum. She is one of Toronto's few private yachts to be certified for carrying 100 passengers on two separate decks for Lake Ontario cruises. At seventy-two feet long, she handles the sea conditions in Toronto harbour and the surrounding water of Lake Ontario very well, and is inspected annually by the Canadian Coast Guard and Transport Canada. 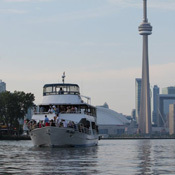 As one of the largest charter boats for hire in Toronto, she also comes with a uniformed and professional crew. There are individual men's and women's washrooms on board. Each 'head' as we call them is cleaned and sanitized regularly throughout the cruise. 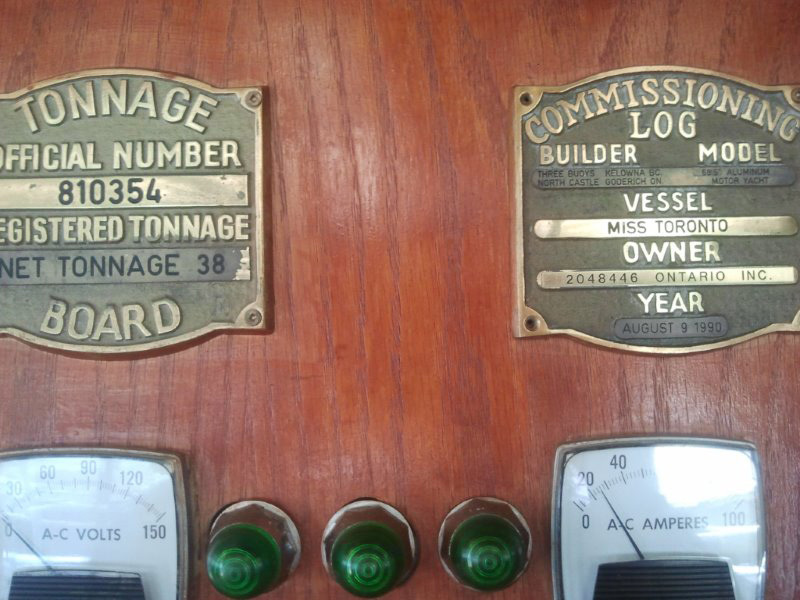 MISS TORONTO has been decorated with plenty of wood and lots of brass accents. We take immense pride in her looks and cleanliness. Over the past thirty years, MISS TORONTO has enjoyed an unblemished safety record. She exclusively carries Canadian Coast Guard approved life saving equipment, with more than enough life jackets and rafts. All outside decks have been coated with an anti-slip 'granite': a non-skid surface that improves grip and complements the overall appearance of this private yacht. Our ship's crew and service staff have all attended Transport Canada's annual 'Safety Day' as well have certification in first aid and lifesaving. Discover first hand the majestic Miss Toronto, book your Toronto cruise today!